For some reason lately I have been majorly obsessed with going on holiday to Paris. I’ve been twice before, but about ten years have passed since my last trip (that was the trip when I was first introduced to Sephora). Learning that a visit to Coco Chanel’s apartment was within reach is what really sent me over the edge. Unfortunately my camera was a piece’o’junk on my last trip, or otherwise I would jump on an opportunity that I received an email about this afternoon. 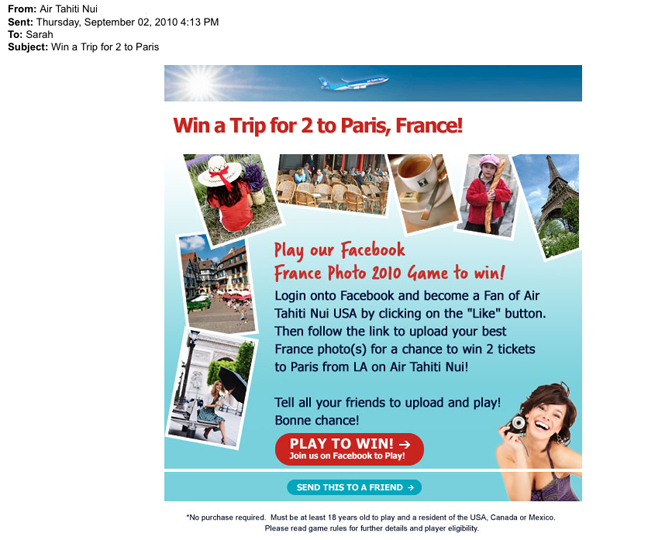 As you can see in this email, Air Tahiti Nui is running a contest to win a trip to Paris. 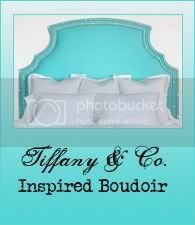 To learn more and enter, CLICK HERE.